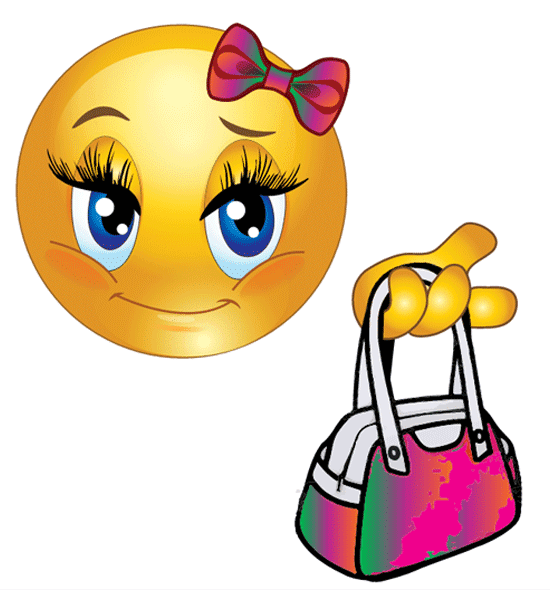 This smiley has her bow just so and her purse loaded with cash. She's ready to hit the nearest boutique for some new threads. 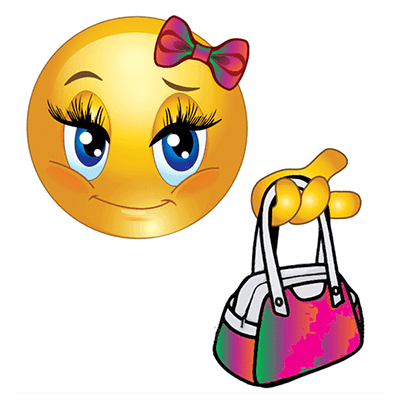 If you are heading out, you can post this smiley on your timeline. 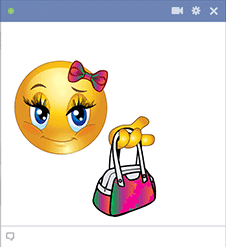 Keep your friends updated using our collection of attention-getting emoticons that will help you express yourself.